Stickiness is key to making good gyōza, hence why the dumplings are sometimes called potstickers. 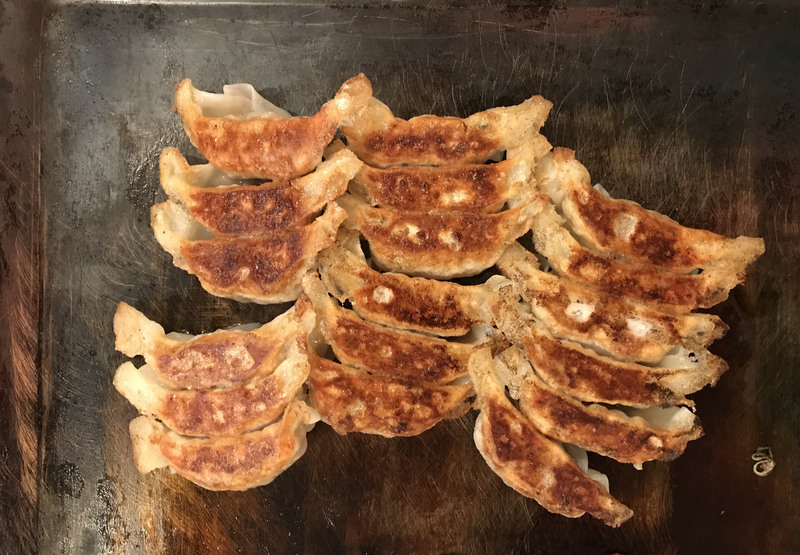 At Lucky Gyoza Center, a ramshackle gyōza joint near Kyoto’s Municipal Wholesale Market, stickiness starts at the door. Though Lucky Gyoza has been open less than a year, a thin film of oil coats the floor so that you find yourself, not unlike the gyōza, in a bit of a sticky situation. 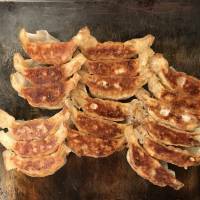 Don’t let the floor deter you though, because Lucky Gyoza has a great range of delicious dumplings. Formerly a book store, the new owners have done the bare minimum with the interior; save for the addition of tables with iron hot plates built into them, it looks and feels like a school cafeteria. Don’t let the owners insouciance deter you either. Portions of the dumplings come in multiples of six (¥290) and you can order up to 54 at one time. They’re cooked through by the time they reach your table, but the hot plate keeps them warm. Each dumpling is small and crispy, and the combination of the nira (chives) and garlic gives a pungent kick. Worth trying are the deep fried gyōza, which have, as you would expect, even more crunch to them. There’s one other gyōza option, a soup of lightly boiled dumplings served in a mildly spicy broth. If you’re not feeling the gyōza, an alternative can be found in the māpō dōfu (tofu in a spicy Sichuan-style sauce), which looks messy but is boldly seasoned and spiced. When you go, try and pick a date that ends with a seven, as the prices on all gyōza dishes are reduced. 12 p.m.-3:30 p.m., 5:30 p.m.-9:30 p.m.